Check Out Netflix's Great Movies for Mother's Day! My family recently became Netflix Canada subscribers, and I wrote about how much were are enjoying Netflix in a recent blog post. My mom is also a huge movie buff, and when she learned that we had Netflix had many questions about it. She's a newcomer to the digital world and had thought that specialized knowledge is required in order to use Netflix, which is not the case at all. When I showed her the huge selection of movies, and how easy it is to use, I could see that she loved it. Right then and there, I decided to get her Netflix for Mother's Day...(along with another surprise I will talk about closer to the date)! Signing up with Netflix is free for the first month, and free to cancel. You just cancel online if it's not right for you...much easier to cancel than a health club membership! It literally takes minutes to sign up online, and all you have to provide is either a credit card or PayPal information (which will only be charged if you continue on with a second month of service). At $7.99 per month for the service, you really can't go wrong! Netflix has great television shows and movies for the whole family--from toddlers to adults. You can watch Netflix from your smartphone, tablet, laptop or computer or television set. 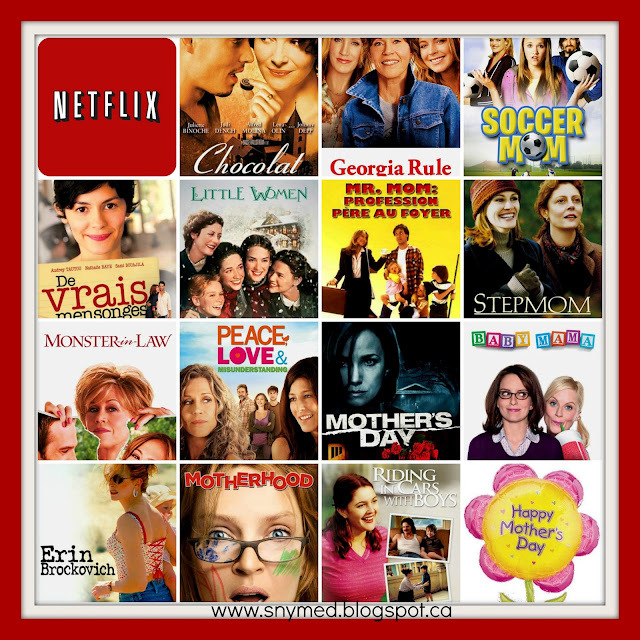 For Mother's Day and moms, here's a list of some movies that are on Netflix right now! Would you like to WIN Netflix for your awesome mom, or wife, or are you an awesome mom who would like to WIN ONE WHOLE YEAR of Netflix? I will also include a Roku 2 internet streaming box and remote control that will allow her to watch Netflix on tv just like usual. 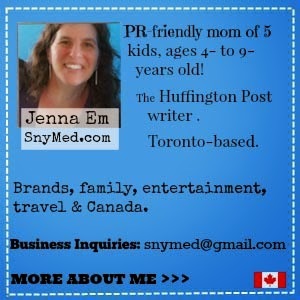 Contest open to CANADA and ends Thursday June 6th, 2013! This contest is open to Canada only, thank you. Leave a COMMENT below telling why your mom or wife is great (or why people think you're a great mom)! Then use the entry form below to enter. GOOD LUCK! Michelle, your mom sounds awesome! pamelarm, Kudos to your dad! It's great news that your mom is making an effort to have a relationship now. My wife is amazing because she has a never give up attitude. I greatly benefit from that. My wife is great because she has a never give up attitude. I greatly benefit from her power to soldier on when most would give up. My mom is such a strong person and has always worked so hard to keep our family together. She's the rock of our family. My mom is she's always been there for me and my sisters. My mom's the greatest because she once winded Ali and brought him to his knee with a vicious right hook to the body. Also she's always been there for me and my sisters. Seeing as we don't have cable and LOVE movies (even have a weekly linkup), I can't believe that I don't have Netflix. Hoping I win this! My Wife is the Greatest, because she has to put up with me and she does it well. She's the most loving caring mother to her 2 sons. % year old and 8 month old. She deserves all her wishes to come true. My Wife is the best mom. She cares for and shows selfless love to her 2 sons. 5 Year old and 8 month old. She also has to put up with my antics. She deserves to have all her wishes come true. My Mom is great because she raised me. :) She is physically disabled and raised 3 children and now she is also raising 1 grandchild. She is a loving wife, mother and grandmother. :) Thank you! My mom is great because she's always there to lend a shoulder to cry on or to comfort me through a hard time. I am lucky to have a great Mom and MIL Both are supportive and helpful and are great to me and my family! My mom was tough but loving when we were growing up. She raised two pretty solid kids so I guess she was doing something right! My mom is amazing because there's nothing she wouldn't do for her kids. She always chose to work the night shift so she could spend time with us during the day and it was a bonus that the night shift paid a bit more. Thinking back, I don't even know how she did so much with so little sleep! My mother was always at home for me, she made me great lunches every day though elementary school,and got up every morning to send me off to school. my mom was widow left to raise 6 girls! my mom is a great mom because even now when I'm all grown up, she still helps me sooo soo much and she's now helping me with my own little one. I have the best mom! My Mom and I were close like best friends as I went to her about everything. I just hope that my kids feel like they can come to me and talk to ma about anything. My mom is my best friend is always more concerned with helping everyone else than she ever is for anything for herself. She's the most selfless person I know. Unfortunately my mom isnt with us anymore:( but she was absolutely the best! My mom is the most amazing person I know, always thinking of others before herself. My mom is great because she put up with me! My mom is great because she raised me on her own, mom and dad both! Mom raised us all on her own....3 of us! I would love to win this for my step-mom. She has always been amazing to me and my sister. She is funny, caring, understanding and kind. I don't know what my life would be like if she had never eentered it. I can only aspire to as good as a mom as my mother was to me! She really inspired me to discover the world and to follow my dreams. I hope that I can support my children as much as she did for me! I miss mu mom's quirky sense of humour. My mom is deceased but she was a great mom because she really put her 100% effort into raising successful, moral kids. my mom is great because she is always willing to go thast extra mile to help somebody. she is kind and thoughtful, and a overall wonderful person. I would like this prize pack for my wife. When she's not at work (as a nurse in a seniors' home) she volunteers countless hours at our church. Her only downtime is late at night in front of the TV in the bedroom. I think my mom would really like watching breaking bad. My mom is an amazing person. She is always helping everyone. She has been very supportive in helping raise my son with down syndrome. My mom has an amazing heart, she's really generous, she makes our home a real home, she's always happy to greet me and she is just wonderful. My mom is great because she has cared for me and my sister for several years and puts so much effort in! My mom is great because she is so active in her community volunteering and she still has time for all of her children, grandchildren, and great grandchildren. My mum is great because she worked really hard in organizations helping others. My mom is great because she just never gives up :) She'd give you her shoes if you needed them, even if it meant she had to walk barefoot. My Mom is pretty awesome because she chose life for me! I love being a Mom, I thank My Mom for that. My mom is the reason I got married and decided to have my own kids, I figured I can't be too selfish and have a great relationship as a mother/son relationship all to myself and wanted that same relationship with my wife and our kids! And I must say she keeps up the tradition of my mother to the highest pedestal possible! Love both my mom and my kid's mom! My mom passed away way to young and never got to see any of her children married, so never had the pleasure of meeting her wonderful grandchildren, I have 4 beautiful granddaughters from one magnificent son and another on the way. I give them as much of my time as I can, even though they leave in the US and we live in Canada. Thankgoodness for Face-time!! My mom is generous and caring. Love my mom - self sacrificing and harbors no grudges. The best! my mom was the best for constantly keeping me out of scrapes, but my wife has to deal with me on a daily basis... she rocks. My mother is great because she has a go getter attitude and most importantly is grateful for everything that she has. my mom is great because she has a go getter attitude and is thankful fo all that she has. My Mom is awesome. She is tireless and always helping. I just had foot surgery so she took my preschooler for a few days, sent over things, is sending dinner, bringing my son home for overnight so i can snuggle, then taking him back for another day so I can rest and he can get to preschool. There really is nothing she wouldn't do for my sister and I or her grandkids. my mom is amazing she is so giving to others.. she rarely gives herself a break or treats herself .. Although my mom struggled with self image she still taught me to love myself just the way I am. A truly amazing feat. my favce character is goofy! My mom is great because she supports all of my endeavours and give me a shoulder to cry on! My wife is great because she left her family in south asia to be here with me. She can only visit her family once in 1 or 2 years. I appreciate what she has done for me. My mom managed to stay friends with me when I was a teenager. She should get an award! My Mom is a saint for putting up with me, two brothers and Dad. People who have had the privilege of getting to know my mom, will walk away with their lives enriched because she is so special. My mom was always there for me, always caring and regardless of how hard her life was - she stood tall (for her 5' frame) and supported. Dads not too shabby either. Shes been my rock and has helped me through so many situations in my life. My mom is great because she's always been there for me! Always! My mom is the best because she's always been there for me! Always! People think I'm a great mom because I love kids and spend a lot of time doing things with them. Have fostered and adopted kids along with my natural children! My Mom dropped everything (including a long awaited trip to Europe) to take care of me this year. It's been a long & expensive year and she's stood by me every minute.